Our guide on starting a kiosk business covers all the essential information to help you decide if this business is a good match for you. Learn about the day-to-day activities of a kiosk business owner, the typical target market, growth potential, startup costs, legal considerations, and more! Kiosk businesses are small, open-front selling stands. Typically, they’re located in malls, shopping centers, or similar areas. A kiosk business sells mobile phone paraphernalia, newspapers, sunglasses, tickets, household supplies, and similar items. Typically, small kiosk businesses thrive off of their incredible accessibility. They’re often located in malls, public areas, and airports. While a kiosk business is often independent, kiosk business owners can become part of larger kiosk networks to generate more revenue. The kiosk business is perfect for self-motivated individuals. Often small, flexible, and varied, kiosks are some of today’s leading shopping areas for passerby. A kiosk owner has an entrepreneurial mindset, and they’re willing to sell niche products for long periods of time. Individuals who love networking are often fantastic kiosk owners, and they’re incredibly capable when marketing, promotion, and expansion are considered. What happens during a typical day at a kiosk business? A kiosk business owner will mostly sell items from their kiosk. When they’re not directly involved in selling, however, they’re researching market potential, pricing alternatives, product variety and new opportunities. Much of a kiosk owner’s savvy as a businessperson relies on their ability to target professional opportunities. Once these responsibilities have been covered, other activities include kiosk cleaning, maintenance and small upkeep tasks. Your preferred customers will depend on your location, products, services, and environment. Because your kiosk will sell specific products, you should make sure it’s established in an area which caters to customers who want these products. Preferred customer locations include shopping malls, movie theaters, art walks, bars, and similar areas. How does a kiosk business make money? A kiosk business makes most of its revenue by selling either generic or niche products. Generic items aren’t necessarily useless, however. They simply have mass appeal. Some kiosks sell food instead of products. Others offer smartphone charging stations. Regardless, every kiosk business makes money by selling either a product or a service. Some kiosks can profit from advertisements, too. What is the growth potential for a kiosk business? A kiosk business is likely to stay local. Some kiosk businesses eventually make enough money to open a storefront. In fact, a lot of successful small business owners began as kiosk business owners. If a kiosk business has high-quality products, they may eventually expand into a kiosk network. If a business owner is smart about their marketing, management and finances, they can generate a lot of revenue by providing products and services in multiple locations. What are some skills and experiences that will help you build a successful kiosk business? Having an eye for high-quality products helps. A kiosk owner should understand what buyers want. They should also be capable of understanding an environment’s marketability. To build a successful kiosk business, make sure you're not competing with big-box retailers. As an independent retailer, you’ll never beat WalMart in terms of price. What are the costs involved in opening a kiosk business? Kiosk business startup costs can range from $2,000 to $10,000, depending on a few things. First, a kiosk business’ sold products should be considered. Expensive items will be expensive to produce. Additionally, a kiosk’s location may be expensive to rent. While a kiosk exists in a temporary location, some entrepreneurs may find themselves relocating to make more money. A kiosk business owner’s main cost, of course, is the kiosk itself. Where leases are considered, a kiosk business owner may find themselves spending over $100,000 on three to 10 years. What are the steps to start a kiosk business? Form a legal entity. Establishing a legal business entity prevents you from being personally liable if your kiosk business is sued. Open a business bank account. 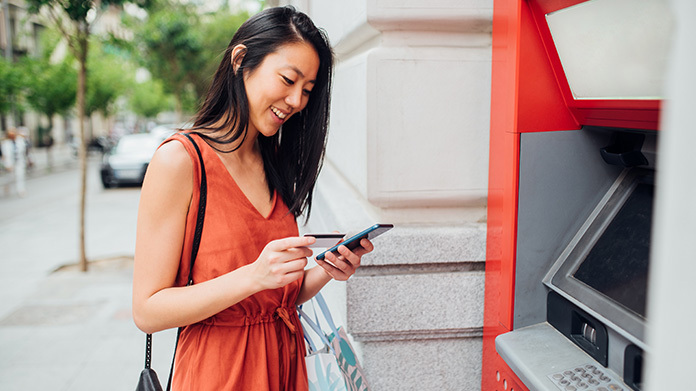 A dedicated checking account for your kiosk business keeps your finances organized and makes your business appear more professional to your customers. What are some insider tips for jump starting a kiosk business? Don’t be afraid to change location. Even if your product is good, it might not be suitable for an environment once it changes. If you decide to upscale customers, consider their current shopping locations. Find out how to entire adjacent markets, and make sure your branding is effective. Your product displays should have rhyme and reason, making customers want to stop and shop. Promote your kiosk by being in a highly visible area. Because your kiosk will be a small business front, you won’t be able to market it via newspaper advertisements and in similar mediums. You can, however, market it via Facebook. If you’re in a trending location, connect with the area’s providers. Offer something unique, and prioritize customer incentives like price and product diversity. You’ll attract customers by creating an enticing buying space. Reduce the clutter, and don’t put out too much merchandise. A well-displayed, colorful kiosk will attract and retain customers. A kiosk business is relatively easy to run. For this reason, a kiosk can be controlled by a single operator. If you wish to expand your kiosk business, consider hiring one to two associates. These associates can help sell goods, maintain the register assist with maintenance, help source products, and clean the kiosk. Over time, however, you’re better off keeping the staff small. There isn’t much room in a kiosk, and a cluttered work environment can, unsurprisingly, reduce overall sales. Certain state permits and licenses may be needed to operate a Kiosk business. Learn more about licensing requirements in your state by visiting SBA’s reference to state licenses and permits. Product and service costs vary wildly. Some kiosks sell hotdogs, which sell for between $1 and $3. Other kiosks, meanwhile, sell smartphones and smartphone amenities. Your product costs should be competitive with industry prices. You’ll also need to adhere to any industry selling standards before implementing a professional selling strategy. What are the ongoing expenses for a kiosk business? Kiosk business owners often spend about $800 per month for their space lease and cart maintenance. This cost depends heavily on mall traffic volume, the season and a location’s amenities. In some cases, however, a kiosk’s rate can be as high as $2,000 per month. Ongoing expenses also include emergency maintenance, products, and advertisement. How much profit can a kiosk business make? Annually, a successful kiosk can make about $50,000. A kiosk’s success, however, is dependent on its sold items, location, and residence. Successful kiosks may decide to become permanent space occupants, capitalizing on the area’s customers. Other kiosks, meanwhile, may find it more advantageous to relocate. Offer product variety. When possible, incorporate different styles, colors and materials. A go-to example, here, Is Crocs. While you can offer the same product over a long period of time, it’s advantageous to give passersby a reason to consider purchasing alternatives from you—the provider. Prioritize mass appeal, too. 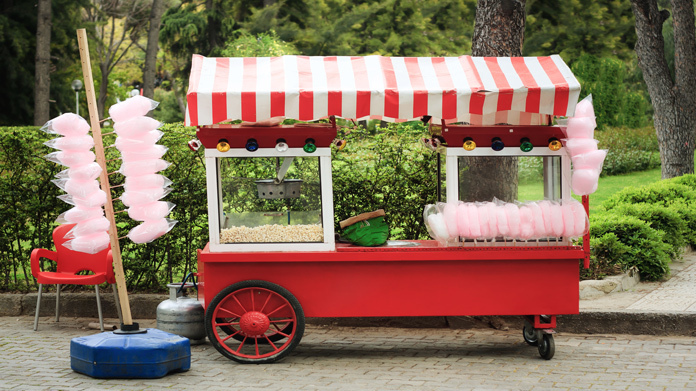 A successful kiosk business may offer niche items, but it will also cater to large audiences. Remember your market, and play into the local crowd’s product needs. Additionally, pay attention to your service environment. If you’re in a mall, or another crowded area, give customers a reason to linger near your kiosk.